Hebrew edition of CENTRAL STATION out now! 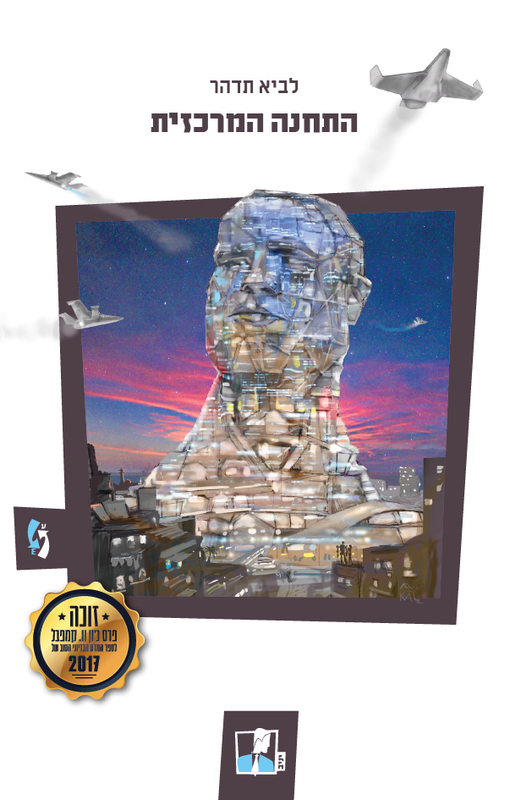 | Zeno Agency Ltd.
Hebrew edition of CENTRAL STATION out now! A worldwide diaspora has left a quarter of a million people at the foot of a space station. Cultures collide in real life and virtual reality. Life is cheap, and data is cheaper. When Boris Chong returns to Tel Aviv from Mars, much has changed. Boris’s ex-lover is raising a strangely familiar child who can tap into the datastream of a mind with the touch of a finger. His cousin is infatuated with a robotnik — a damaged cyborg soldier who might as well be begging for parts. His father is terminally-ill with a multigenerational mind-plague. And a hunted data-vampire has followed Boris to where she is forbidden to return. Rising above them is Central Station, the interplanetary hub between all things: the constantly shifting Tel Aviv; a powerful virtual arena, and the space colonies where humanity has gone to escape the ravages of poverty and war. Everything is connected by the Others, powerful alien entities who, through the Conversation — a shifting, flowing stream of consciousness — are just the beginning of irrevocable change. At Central Station, humans and machines continue to adapt, thrive… and even evolve. previous: New Spanish edition of RIVERS OF LONDON out now! next: ALL THAT I HAVE BEEN sold to Sceptre!